Lot of Four Lapped Firkins in the Old Paint, A) 11 1/2" tall firkin in bittersweet paint, some loss to lid. 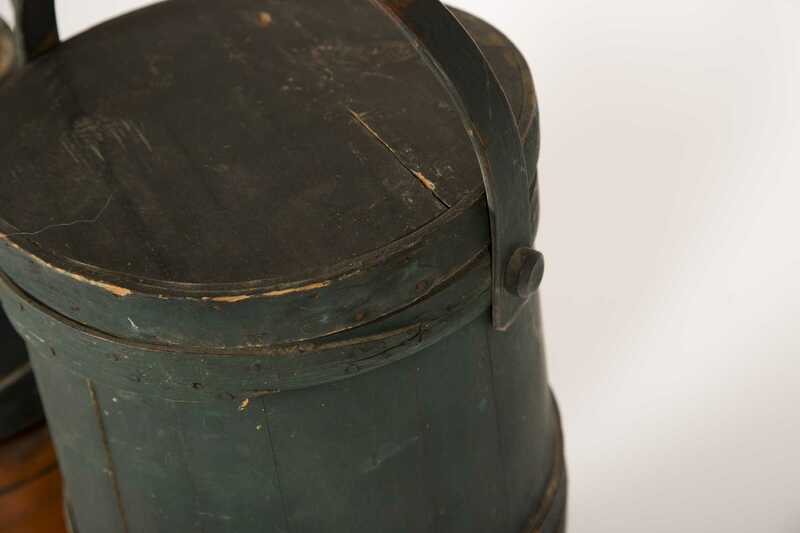 B) 9 3/4" tall firkin in old dark blue paint with no lid since it was painted, woven laps. 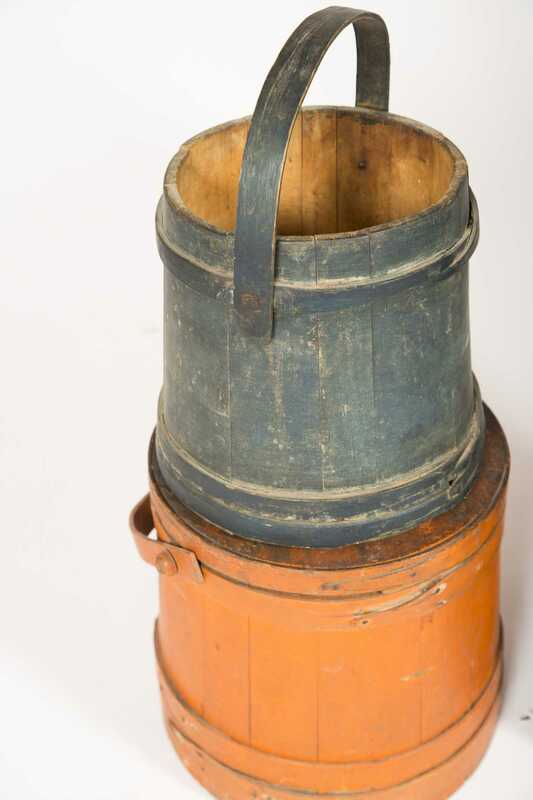 C) 12" tall firkin in old red paint, three bites out of lid edge, some lap nails replaced. 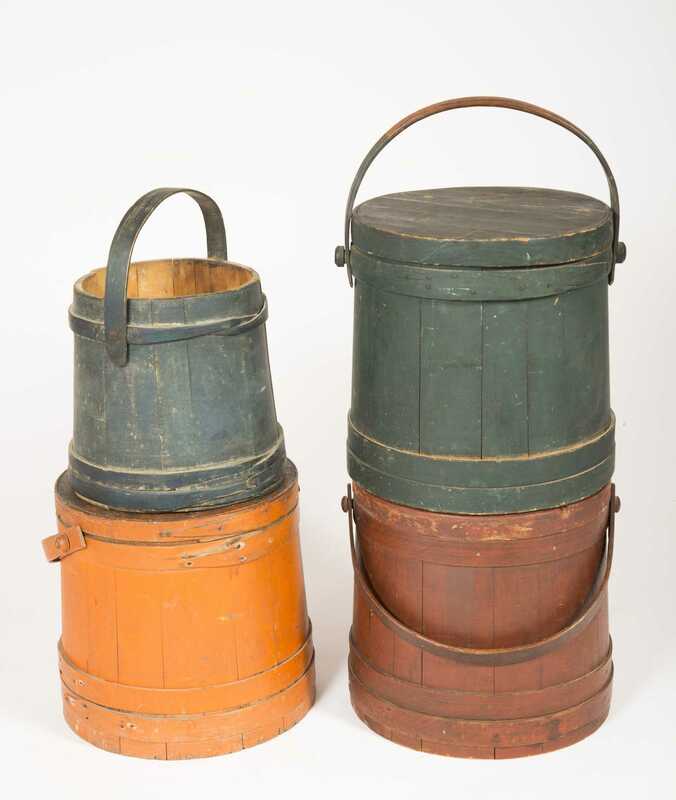 D) 12 1/4" tall firkin in old green paint (part of handle never painted).